The Barros Luco sandwich is one of Chile’s many famous sandwiches. 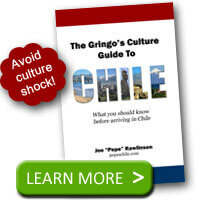 After all, Chileans do love a great sandwich. What Is the Barros Luco Sandwich? 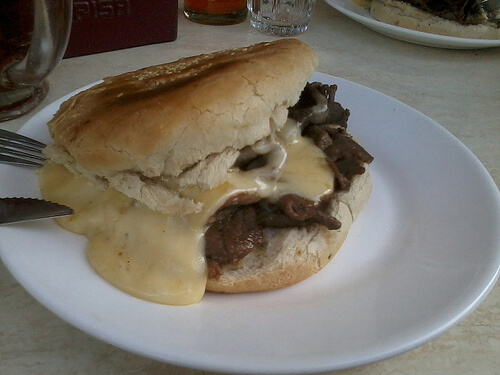 The Barros Luco is a Chilean beef sandwich. Basically, it consists of slices of steak with a generous serving of melted cheese stuck between bread. The sandwich is served warm with the cheese melted. However, the art of making a great Barros Luco sandwich varies based on where you eat it. Yes, you could make your own grilled cheese sandwich and add some meat. 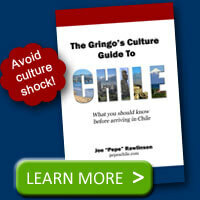 However, this wouldn’t be true to form and not what you’d likely get in Chile. In Chile, your Barros Luco sandwich will likely come on pan frica a sizable roll of bread that has been toasted a little on the grill to give it some crunch. The steak will be thinly sliced beef that has been seasoned to bring out a rich flavor. Where Does the Barros Luco Sandwich Name Come From? Ramón Barros Luco was president of Chile from 1910 to 1915. He frequented the Union Club where he’d always ask for a steak sandwich with cheese. Thus people started asking for a “Barros Luco” sandwich. Surprisingly, he is now most well known for the sandwich and not his actual presidency. The next time you’re in the mood for a good sandwich, ask for the Barros Luco. Yes, you’ll need to roll your double letter ‘r,’ but the food is great and will be worth the effort. Your taste buds will thank your mouth for the effort! Have you had a Barros Luco? Where did you have the best one you’ve ever tasted? @Anne – Fuente Alemana is a famous sandwich shop with a fun atmosphere. I’ve read comments that they do have a good Barros Luco there too. I haven’t had a barros luco sandwich there, but I have had lunch in the Club Union. A very impressive and beautiful place. @Patricio – what an awesome experience to eat in a place with such culinary history. Just had a barros luco at a cafe off of Plaza de Armas in Talca last week. I had no idea what I was ordering, but just picked it. I have to say the quality of the meat was rather tough (like a lot of the meat I was recently served in Chile), and the cheese was so-so. The bread came toasted. The waiter gave me a variety of breads to pick from. Thanks for letting us know where the name of the sandwich came from!